Hardly few years back, with manual cameras and film rolls, not everyone was interested getting into Wildlife photography. Only few people were haunted by this rare passion. Though it was glamorous but not affordable to everyone. But with the arrival of digital cameras and memory cards, wildlife photography has become a passion and a fashion as well. Tourists carrying huge lenses and camera bodies in National park is normal scenario now a days. Social media has played a big role for making wildlife photography a tempting passion. Posting a picture gets one instant gratification. Also, Google & YouTube are good source of information, and one needs no photography workshop or classes to learn basic wildlife photography. But there are some essential things for wildlife photography that one needs to learn & understand. 1. Knowledge of National Park: It is very important for you to gather some information about the national park you would be visiting. The terrain, the tracks, the tree cover, forest density, the kind of wildlife in the national park, the month you would be visiting, the light to expect, the weather to expect etc. 2. Wildlife Knowledge: Create the checklist of animals you may encounter in the National park. If you are planning to take Tiger images, then you will be better equipped if you know the behavior of the Tiger. 3. Safety: Always remember that you are in a national park and surrounded by wild animals. Your safety and the safety of wild animals you are shooting is of paramount importance. Do not underestimate the speed and power of wild animals at any point, irrespective of the size. Hence it is important to keep safe distance from wild animals. Follow all instructions of the guide & the driver in the Jeep, do not force them to get very close to the animal. Besides you will be able to capture good images only if you are at a safe distance wherein the animals are not disturbed by your presence & behavior. Avoid making unnecessary sounds, or talk loudly, no sudden or jerky movements while you are in the vehicle. As all this can easily scare the animal and send it in cover, thus depriving you of a good wildlife snap. Once you cover the above basic things for wildlife photography, then what? Then should gain the technical knowledge of taking photographs. Expert advise here is do not be over dependent on your photography equipment or post processing of the pictures, rather get them right while clicking them. Always remember, it is the eye behind the camera which is more important than the camera itself. Latest technology can’t replace the art of photography. Every year, a fair number of nature lovers visit the national parks of India to experience an adventurous wildlife safari. You can find number of wildlife resorts that offer a pleasant stay for guests. Aman-I-Khas is a luxurious jungle safari camp, set on the outskirts of the Ranthambore National Park close to Sawai Madhopur in Rajasthan. 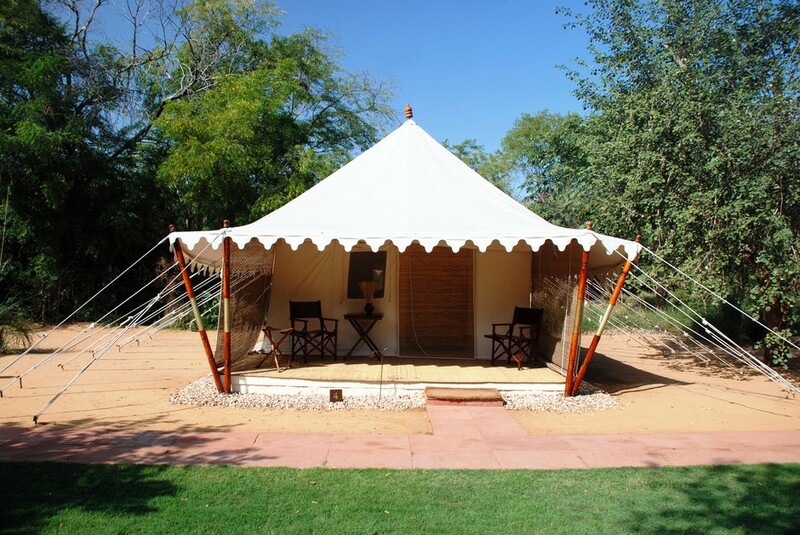 This camp comprises of well-equipped 10 elegant spacious tents reflecting Mughal style of architecture and décor. 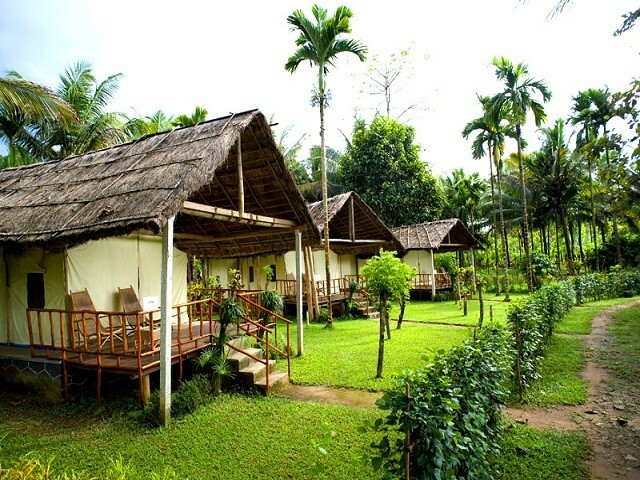 Opened in the month of November, 2003, this jungle resort has well-equipped housing tents comprising of spaces for dressing, cleansing and eating. Just about 10 km from the Ranthambore National Park, it is a perfect accommodation alternative for those who seek to experience lavish living with a drop of wilderness. Provisions for safari within the park can also be made. 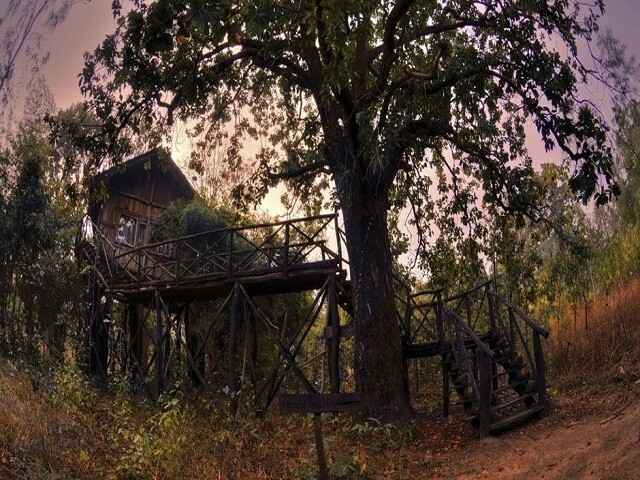 Situated across the 21 acres of land within the Bandhavgarh National Park, Tree House Hideaway Resort has an overall of five tree houses for the relaxation of the guests. These well-laden tree houses are full with all the contemporary facilities such as private bathroom, small bar, split AC and living area with a beautiful balcony from where you can delight your eyes to the lush greenery everywhere and may also spot the wild beasts wandering freely. 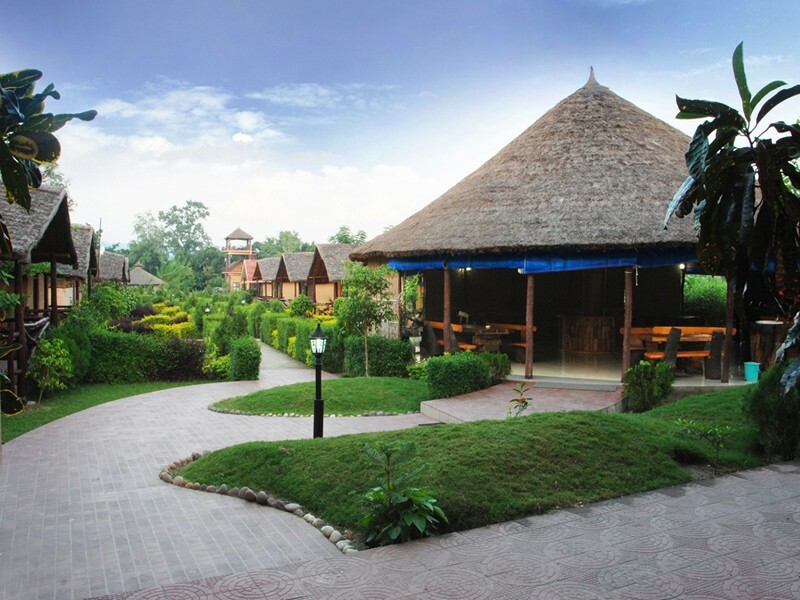 Moreover, the resort also has a dining hall, established in 2 levels round a gigantic Mahua tree. Whereas on the ground level, you will find a dining hall serving both Continental and Indian Cuisines. The first floor is Watering Hole- the bar where people can take pleasure in drinks. You can easily opt from range of safaris in jeeps, escorted by an English-speaking naturalist to Bandhavgarh National Park. Taking hint from the deluxe lifestyle of the former Indian princes, each of the 12 tents at Sher Bagh encompass of unique ‘Campaign style’ furniture. 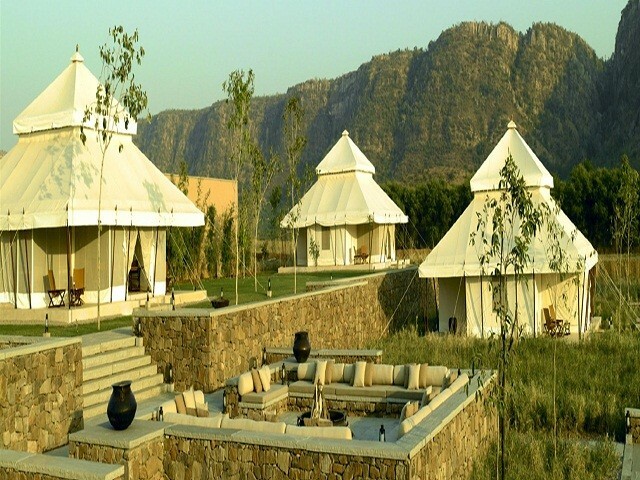 This wildlife campsite is positioned at a clos——e distance of around 3 km from the entry of the Ranthambore National Park. 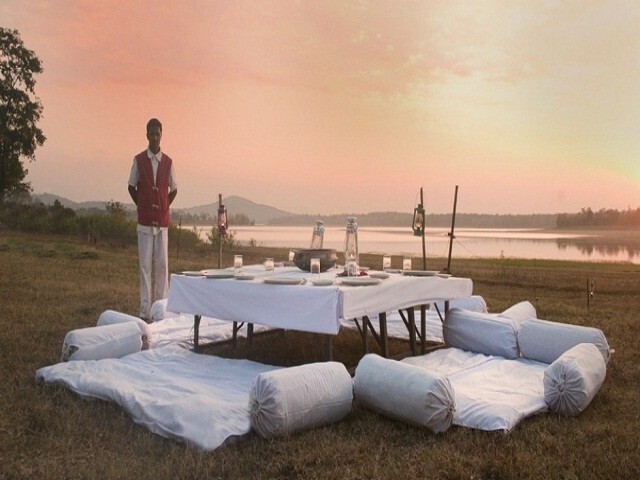 All the well-equipped tents have a private verandah and present amazing views of the well-manicured plush gardens. Highlighting an exotic African-style safari atmosphere, the Sher Bagh camp also endows with an opportunity of collective drinks during the sunset round the bonfire. Further, distinctive arrangement for wildlife jeep safaris, wildlife horse safaris and a picnic lunch, on the highest point of the Ranthambhore Fort can be made. 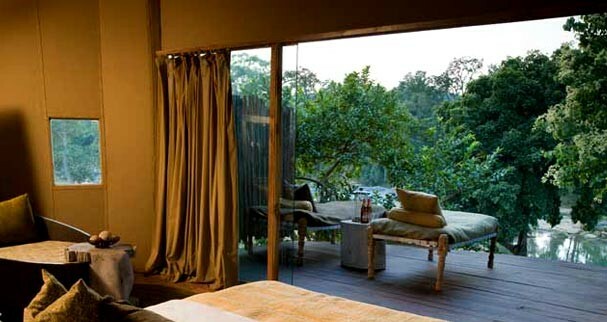 Located on the banks of River Banjaar, Taj Safaris’ third luxury jungle safari lodge “Banjaar Tola” provides some great views of the Kanha National Park. This lodge consists of a total of 2 stylish camps wherein there are 9 suites in all, offering a comfortable stay to the guests. With a large common swimming pool, both the camps have their own tented relaxing area. The resort has a joint kitchen, having an organic and exotic touch which makes the dining experience even more enhanced. The tents are a delightful mix of fresh décor combined with bamboo floor tiles, locally-made fittings and bamboo wall panels. Further, arrangements for safari can also be done. If you are in search for a comfy stay amidst contemporary indulgences while you are interacting with the big wild cats during your visit at the Corbett National park, choose for a stay at Corbett Woods Resort. Freshly constructed, this wildlife camp resort is one of the ideal options where the guests can have an enjoyable stay while appreciate flawless personalized services. Situated about 4 km from Jhirna Gate of Corbett National Park, Corbett Woods Resort has a striking designing and architecture. As the Corbett Woods Resort is positioned on the banks of Dhela River, it provides prodigious views of the jungle’s green area. There are a total of 4 premium and 12 luxury Swiss air-conditioned lodges, which are very well-furnished and well-appointed. The list of amenities also comprises of children’s play area, fitness club, swimming pool and a multi-cuisine banqueting venue. Well-maintained and ecological, Lion Safari Camp is a perfect accommodation for people who are visiting Gir National Park. There are a whole of 20 air-conditioned tents that are very well-appointed with all the contemporary facilities. Lion Safari Camps have sophisticated furnishings and hygienic private bathrooms. 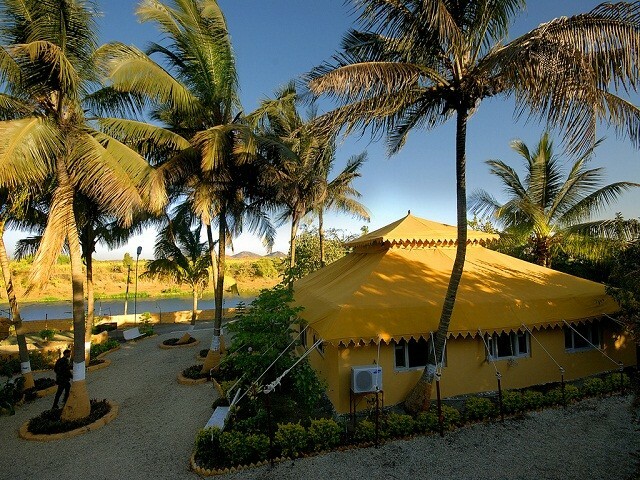 The main highlight is that the decor of these tents is eco-friendly. Treat your eyes to the plush greenery from the top deck area of the camp. The site of the safari camp, amid mango orchard is purely marvelous and looks filmy. Guests can conveniently dine-in at the camp’s outdoor restaurants where you can relish delicacies of Indian and Chinese Cusines. Spread across an area 8 acres of plush land, Bundela Safari Lodge is positioned near Khatia entrance gate of the Kanha National Park. 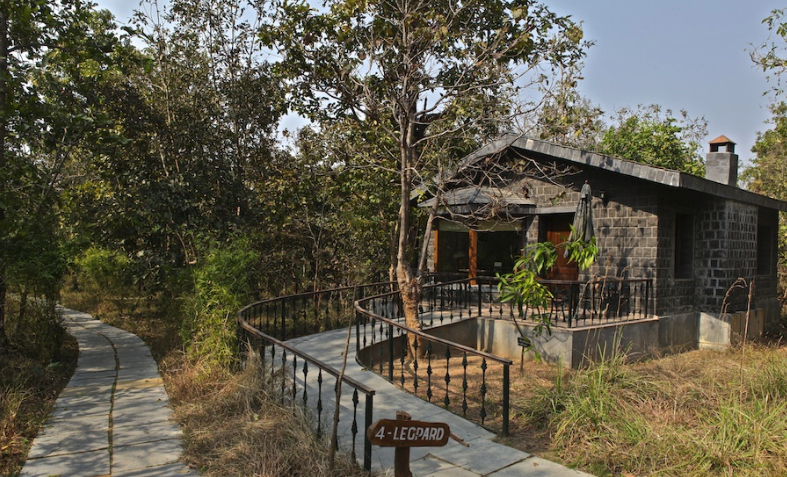 A wonderful mix of wilderness and relaxation, this wildlife camp lodge provides 3 best accommodation alternatives- Machan Vilas and Luxury housings. All these air-conditioned rooms have a superior interior, are spacious and have all the extravagances including attached bathrooms. Enjoy your morning and evening tea while you are chilling in the balcony area, treating your eyes to the plush greenery, spread all around. The safari lodge also has a multi-cuisine bistro to provide lip-smacking food and a well-stocked bar, serving an extensive variety of beverages. Further, there is a spa and a swimming pool to indulge in relaxation activities. Situated just 1 km away from the banks of River Jia-Bhoroli, Nameri Eco Camp is quite near to the Nameri National Park in Assam. 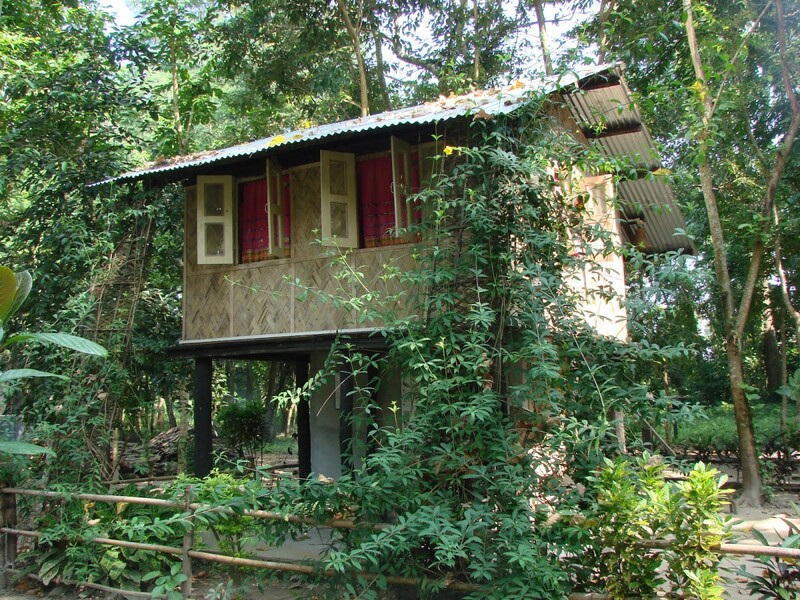 Sited amid plush green surroundings, this wildlife camp is just 45 km from Tezpur. As far as meal is concerned, people can relish tasty dishes at the communal dining hall in the Eco Camp. A finest combination of adventure and luxury; this is just the perfect term for the Bison Kabini Resort, positioned right at the meeting juncture of Nagarhole and Bandipur National Parks. While the wildlife resort looks attention-grabbing during the night, it seems to be tranquil during the day. The creators of the resort have taken muse from old hunting stratums of former Indian Maharajas and an East African camp. Clubbing a luxury experience with the rocky wilds is the major highlight of this resort. 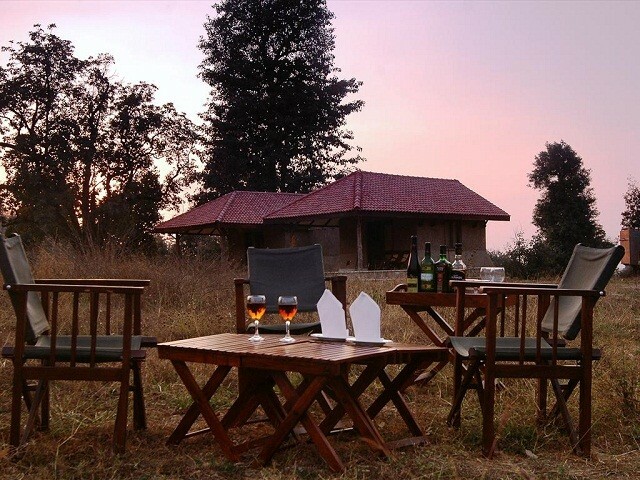 Admire flabbergasting views of the Kabini National Park from your window. Ancient antiques, stunning decorative pieces, pure white linen and woody floor make the camp all the more exciting. Every cottage is quite well-maintained. Hornbill Camp, situated amidst coconut plantations on the banks of River Periyar, comprises of cottage tents filled with all up-to-the-minute comforts. Enjoy the landscape of the lowland area of Salim Ali Bird Sanctuary in Thattekkad. The huge camps are a blend of contemporary living styles and rural elegance. The wildebeest migration is the annual natural relocation of vast numbers of the wildebeest, joined by large numbers of zebra, and smaller numbers of Thomsons gazelle, Grant’s gazelle, and Impala. Wildebeest migration takes place every year and it is highly predictable. They migrate throughout the year, constantly seeking better water resources & fresh grazing land. July to October is the best time to be in Kenya for it. Masai Mara National Reserve is about 270 kilometer from Nairobi (Capital) and takes approximately 40-45 minutes by flight & 4-5 hours by road. The road is in great condition for the most part. You may have to travel on dirt road from Narok town to Sekenani Gate but condition of that road is fairly good. The other road through Lemek and Aitong town is very bumpy and not good at all for driving. Wildebeest migration takes place in JULY to OCTOBER which is best time to see this amazing animal migration. Although, Wildebeest Migration is not guaranteed through Masai Mara, it has yet to let us down. December to February is great time for big cats. As land gets dryer, water sources become limited and big cats can easily catch their prey near those water sources. Good opportunity for tourists and wildlife photographers to capture those moments. We recommend at least 3-4 days for Masai Mara safari. If you are interested in wildlife photography then the longer you stay the more chance of getting the ultimate snap. Bandipur is one of the most beautiful national parks in India. Bandipur National Park was established in 1974 & it is a renowned tiger reserve. National Park is located in Chamarajanagar district, Karnataka. Covering an area of 874.2 sq km, Bandipur along with Wayanad Wildlife Sanctuary in Kerala, Mudumalai Wildlife Sanctuary in Tamil Nadu and Nagarhole National Park in the North Karnataka creates the biggest biosphere reserve in India, which is also known as the Nilgiri Biosphere Reserve. This park is home of Tigers along with wildlife species like gaur, wild dogs, wild boar, jackal, sloth bear, panther, sambhar, chital, mouse deer, four-horned antelope, porcupines, malabar squirrels and the black-knapped hare. Birds like green pigeon, jungle fowl are also found here. Periyar National Park is located in Thekkady, Kerala. Rich in biodiversity, this park spreads over an area 925 Sq .km. Periyar National Park is famous elephant reserve and it is also amongst the 27 tiger reserves that India has. Periyar National Park forms the major watershed of two important rivers -The Pamba & the Periyar. Elephants are the prime attractions of Periyar, however, Gaur, Sambar, Barking Deer, Mouse Deer, Wild Pigs, Dole or Indian Wild Dog and Tiger are other animals that consider this place their home. You can also find Common Langur, Nilgiri Langur, Bonnet Macaque & the rare lion-tailed macaque. Periyar National Park has a rich bird life as well, great Malabar Hornbill, Kingfishers, Darters, Cormorants and Racket-tailed Drongos can be found here. Visitors are allowed to trek in National Park and thus get a better opportunity to witness wildlife closely. Nagarhole National Park is named after river that flows through the park. This national park is situated in the two districts of Karnataka – Kodagu & Mysore. Nagarhole National Park covers an area of 643.39 sq. Kms, Nagarhole is an awesome place for wildlife safari in South India. Predators like tiger, leopard, sloth bear, hyena & wild dog can be found in large number in the park. You can also find here spotted deer, four-horned antelope, gaur, sambar, barking deer, elephant & wild boar. It is also ideal place for elephant sightings. Over 250 species of birds & reptiles like marsh crocodile, rock python & monitor lizard can be found in this national park. Dandeli Wildlife Sanctuary is the second largest wildlife sanctuary in Karnataka state. It covers an area of 834.16 sq.km. Karnataka state government has officially notified the Dandeli Elephant Reserve under Project Elephant on 4 June 2015 & it is the second elephant reserve in Karnataka after Mysore Elephant Reserve. The sanctuary has scenic beauty which includes meandering rivers & breath-taking valleys. Dandeli Wildlife Sanctuary is a perfect home for animals like tigers, elephants, sloth bear, pangolin, Malabar giant squirrel, bison, jackals, langurs, Black Panther, mouse deer & civet cats. This sanctuary is also perfect destination for bird watching in Southern India as it has birds like golden backed woodpecker, crested serpent eagle & magpie robin. There are two kind of safari vehicles utilized in the National Parks of India. One is the Gypsy or Gypsy which can accommodate maximum 6 individuals, or a safari bus or Canter which can accommodate 10-20 individuals at a time. They both have their own advantages. One must understand the advantages and disadvantages of Canter and Gypsy Safaris before he books the tour package. 1. Gypsy is a small vehicle which can accommodate Maximum 6 guests. Hence, it is less disturbing to you and to the wild animals. 3. Gypsy is easier to manoeuvre than canter during a safari. 4. ?The petrol driven engine of Gypsy is less noisy. Thus, it is less disturbing to you as well as to the wildlife. 5. It can access very narrow roads as well providing you advantage when Tigers or other animals are in dense forest patches where a Canter cannot reach. 6. Being light weight and having 4 x 4 engine, it can be taken reverse or forward very quickly as per the animal movement. 1. If you have more than 6 people in your group and you all want to travel together then Canter (Safari Bus) is ideal for you. Moreover, sometimes people dont get second Gypsy due to various reasons. 2. The height of a Canter is more than Gypsy and it helps in Tiger sighting. You can see deep down in to the jungle due to better height of Canter. Canter is larger & taller. Hence, you will feel more secured in Canter than Gypsy when Tiger is nearby your vehicle. If you are really a wildlife enthusiast and wish to avail a Gypsy for jungle safari, then plan your safari 5-6 months in advance and book your vehicle at the same time. All the best! Have a Great Safari! Royal Bengal Tigers is Indias pride with whose presence the lush bio-diversity of India becomes extraordinary and a lot more appealing. Known for its culture, traditions, customs and values, India has a special place within the heart of people from all across the world. India tourism prospers with its fantastic heritage and vivid cultures, which are witness and cherished by many tourists, nationwide and internationally. To enrich the splendour of the country we’ve got many national parks in India and wildlife sanctuaries in India which are one among the significant pillars of tourism in India. Travellers round the year travel through these bio-sphere reserves to treasure the wonder and charm of the wildlife of India. The main attraction of the wildlife tourism is spotting the tigers. We have brought you best tiger spotting places in India where you can find the piercing eyes of big cats without much hassle. 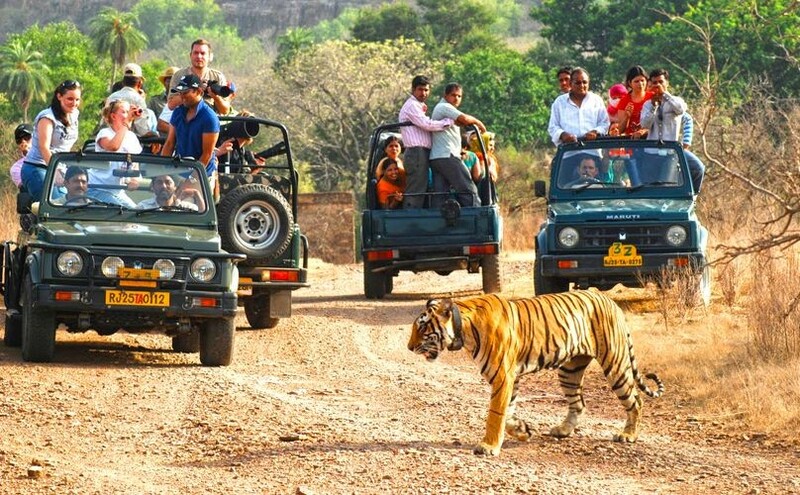 The charm of Rajasthan wildlife tourism, Ranthambore national park is one of the most important national parks in north India. The park is nestled within the lap of Sawai Madhopur district of Rajasthan; the park is just 130 kilometre from Jaipur. The park is spread in over 1334 sq kilometre and is encircled by the rocky ridges. Formerly called the hunting ground for the royal families of Jaipur has currently converted into the wildlife reserve which is holds an outstanding position in wildlife tourism in India where one can see the union of wildlife, history and culture beneath one sky. One can take safaris to spot tigers here twice a day at 6:30 AM and at 2:30 PM. This tiger trail runs for three hours. 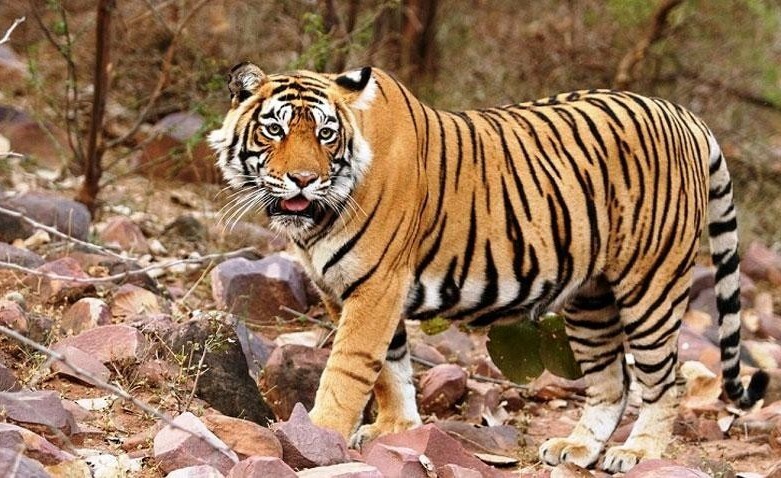 There are special zones famous for the tiger safari in Ranthambore and these are Zone 1, Zone 4, Zone 6 and Zone 3. 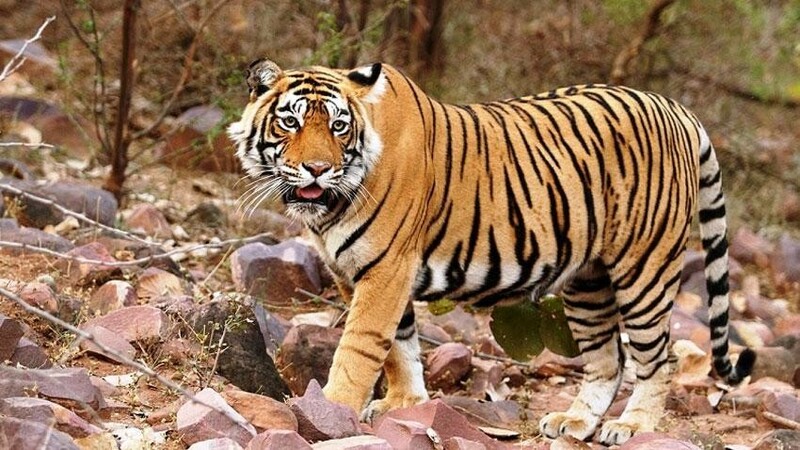 A few tigers like Noor, Arrow head, Ladli, Star male, Kumbha male, Sultan male, Zalim male are very popular in Ranthambore and give very frequent sightings. Kanha Tiger Reserve which is also known as Kanha national park is an outstanding national park in Madhya Pradesh. To encourage wildlife tourism in India, both international and national travellers are invited to the bio-diversity rich areas of the country and Kanha national park plays a major role. The area of national park is spread in two districts, Mandala and Kalaghat and is declared as reserve forest in 1879, wildlife sanctuary in 1933 and upgraded as national park in 1955. 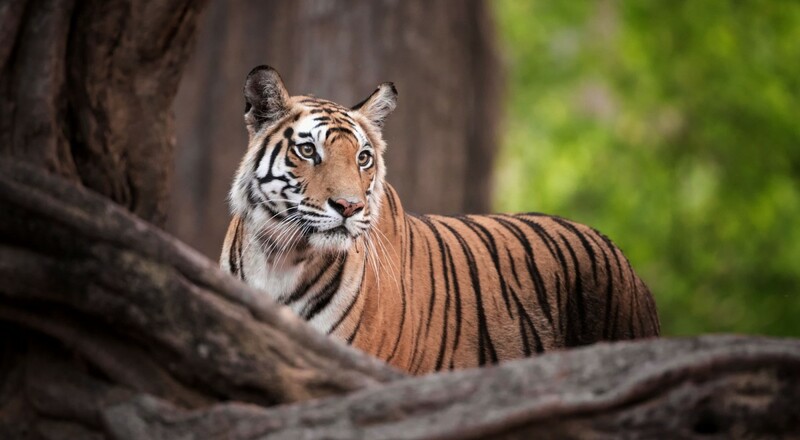 To spot tigers in Kanha national park, tourists can relish the safaris arranged by the park authorities and tourists can also stay in the wildlife resort and lodges situated on the fringes of forest. To spot tigers, safaris take place in two shifts of morning and afternoon. It takes around 3 to 4 hours to complete a safari. Neelam female, Link 7 female, Chota Munna male, Munna male, Umarpani male etc are the most sought after tigers in Kanha tiger reserve. Another stunning and fantastic national park which is an integral a part of the state of Madhya Pradesh, Pench national park has its name from the Pench River that runs through the park and helps in booming the wildlife in Pench national park. Spread within the area of 758 sq kilometres this park is another wonderful example of tiger conservation and wildlife tourism with the glorious history. Only a couple of people know but this tiger reserve is the original inspiration of Rudyard Kiplings The Jungle Book. Beside the fierce stripped cats, you’ll also spots varied animals over here like cheetal, nilgai, leopard, wolf, jackal, fox, civet and etc. On the same hand, the place is stuffed with quite 285 species of birds (local and migratory). The jungle safari in this place is generally done two times in a day, that starts at 6:30 am and 3:00 pm and it runs for quite 3 to 4 hours. The famous tigers of Pench are Collarwali, Langdi, Raiyakassa male, BMW male, Tarzan male, Handsome male and Baras female. Maharashtra is known for its distinctive culture and traditions and what adds values to its beauty is the presence of Tadoba national park. It’s the attractive and largest National Parks in Maharashtra. 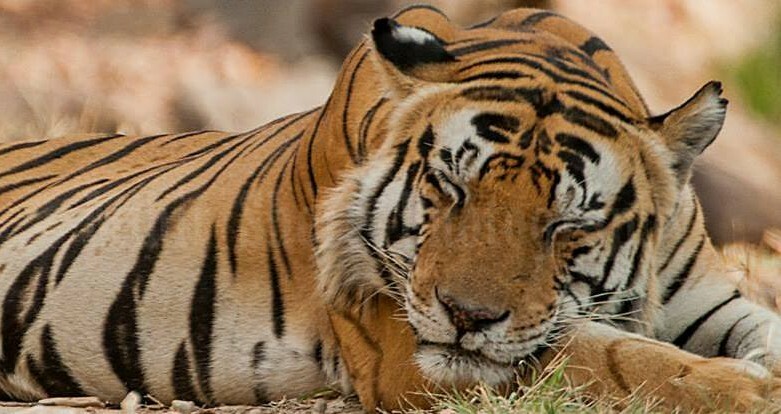 Tadoba national park is listed among the 47 project tiger reserve prevailing in India. The name Tadoba comes from the tribal God Taru who is praised the tribal people. In 1955 the area was declared as national park and in 1986 the neighbouring area was declared as Andhari wildlife Sanctuary and in 1995 the park and sanctuary was merged to form a Project Tiger- Tadoba Tiger Reserve. One can find large numbers of tigers in Tadoba national park. Beside tigers, people also like to watch Leopards, Spotted deer, Wild Boars, Gaurs along with different places of cultural importance. For tiger spotting in Tadoba national park, regular gypsy and canter safaris are run under guidance of forest department. You’ll be able to relish gypsy or jeep safari to explore the wildlife of Tadoba national park. Tadoba national park is additionally known as Jewel of Vidharba. A few famous tigers of Tadoba are Maya, Waghdoh, Sonam, Madhuri, Bajrang and Matkasur. What should you do when you encounter a Tiger on foot in his territory? First of all, let me warn everyone that a Tiger is an impeccable slaughtering machine. So, the most ideal approach to fight him is, not to fight him. This is a note from some individuals past encounters and knowledge of local people who occasionally meet the Tiger on foot in their own backyard. It is quite possible that on your wildlife safari occasion, you may likewise encounter a Tiger by walking accidentally and unintentionally. This can happen to anyone in national park. Generally, the national parks of India don’t have any fence or dividers. The Tigers roam in and around the national parks in search of food and to mark their territory. They come out of their home to visit the vicinity of the villages where majority of the resorts are established. What to do when you encounter a Tiger on foot? Tigers are generally not interested in human beings. It is frequently seen that he will leave the trail in the event that he hears or sees you on a similar trail. Having said this, it doesn’t mean that you toss the alert to the breezes. In some cases, a Tiger would do a mock charge to threat you, i.e. Tiger will come half way fully charging, then suddenly stop, turn around, and run away. These are serious and life-threatening situations. Hence, it is best to be alert & prepared. Note down following points in case if you encounter a Tiger on foot. In case, if you encounter a Tiger first then stay calm and control your breathing speed. You can easily get nervous, but your stillness when he notices you is your major chance of escape from that situation. If he hasn’t seen you, then remain calm, wait for him to move on, and you later move in the different direction. Saving yourself should be the only motive and avoid being foolishly macho. Your anxiety or one wrong step can encourage tiger to attack you. Regardless of whether you are a believer or a nonbeliever of god, there is no better time than this to praying. It will at least give you the courage to face the situation. If you are sitting on the trail, gradually stand up and stand tall. The Tiger must know you are human being and should not mistake you as his prey animal. Tigers typically attack their prey from back especially when they appear to be sitting. He will consider you as a small prey animal and attack you. By standing tall, you are showing him that you are a human and not his natural prey. If the Tiger is angry with you, he will indicate it by a snarl, or he may take a stalking position. What is a stalking position? Fundamentally, before a Tiger assaults, he crouches, his ears move back, he freezes, concentrates on his prey, snarls, and attack. If tiger is taking that position, then you should start backing up. You should not show your back to him, rather gradually and relentlessly just back up. Continue backing off gradually until the Tiger is well out of sight. Never run when you accidentally encounter a Tiger on foot. Tigers are naturally trained to chase anything running and kill. If there is a tall tree nearby and the Tiger is far enough, and you know how to climb a tree instantly, then you can go ahead. Make sure you reach at-least 15 feet above the ground, as Tigers can jump up to 15 feet comfortably above ground level. So climb quickly, else does not attempt. If you encounter a Leopard or a Sloth Bear then climbing the tree is not an option as they both are master in climbing, especially Leopard. If you have some metal or anything which can make noise, do it. But do this only after you are sure that the Tiger has made up his mind to attack you. In case, if you have nothing to make noise, and Tiger is charging, then shout as loud as possible. Get as close as possible to Tiger when he attacks you. Embrace him tight. Try not to give him any breathing space. Embracing a Tiger can surprise him. All carnivores prefer distance. 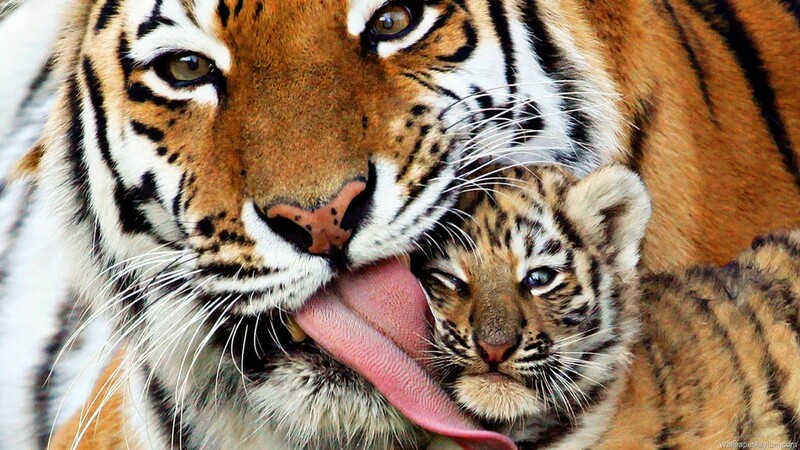 Tigers don’t like physical closeness and try to avoid physical contact. Even Tigers fighting with each other keep distance from each other. At first, they would slap each other, and wait to take a bite and choke the jugular vein on the neck of his opponent. So, keep your neck away from his jaw. Whatever you can pick and hit the tiger, can be your ultimate weapon at that situation. You can pick rock, branch, stick, and use it to protect yourself from him. Keep in mind that his weapons are his canines & claws; you must stay away from them. Your weapon is whatever you get or have in hand. With his weapons he can brutally injure you. Generally, Tigers avoid fights. But if they involve in fighting, they will definitely go for the kill, until and unless they are surprised by your behavior. In that situation, they simply want to get away. Continue shouting and be as close as possible to him. Avoid his fatal bite, as not only it can kill you, but also give you some fatal infection as his canines have lot of bacteria. If there is a lake or a river, do not get into it to save yourself. Tigers are incredible swimmers, and will out pace you much sooner that you think. Let me remind you again, the most ideal approach to fight the tiger is, not to fight tiger. Staying in a jungle resort while on wildlife holiday is always a great fun, however for a comfortable and hassle free experience one must take care of himself and his group. There are numerous safety measures to take while staying near a national park. Some are listed below. First and foremost – Avoid going towards the forest on foot or in a vehicle if it is prohibited area. There are gates from where all sightseer’s vehicles enter. Utilize just the approved entryways to enter at the given time with a valid permit to enter the park. Avoid entering from any other area in the protected areas. If you get caught in a national park without a valid permit, you will attract a jail term and your vehicle will be seized. So kindly don’t think on these lines regardless of what local or a resort person instructs you to. Never leave the vicinity of the resort alone after sunset. Not even if you plan to just go for a walk after your dinner. After nightfall, Leopards frequently tend to approach the villages and resorts in search of food or the livestock. At night, Tigers also roam around the protected areas. It is not worth taking the risk for little adventure you want to experience. If you need go out for some urgent work, and have to cross the buffer area of the jungle, don’t go on a two-wheeler. Make sure you are in a car and take someone from the resort or village who are familiar with area, and always carry a torch & communication device for sure. After sunset, driving a two-wheeler in a forested area is a huge risk, especially if the forest has animals like Sloth bears. If it breaks down for some reason, you will be in a trouble. Four-wheeler will at-least offer some protection from the aggressive animals. In case, if you are in Elephant dominated area, then even a four-wheeler is not advisable at night. It is better to postpone all your work for next day. Wild Elephants can kick your four-wheeler really hard. Hence it is good idea to stay in safe boundary of your resort. Please do not even consider carrying any weapon even if you possess one. Getting caught with a weapon in forested area is a non bail-able offense and attracts a term of up to 7 years in prison. You can carry a wooden stick while on foot but not any kind of weapons whatsoever even in a safari vehicle. Be careful when you go in to the bush, there are many species of venomous snakes and scorpions in and around the national parks. Welcome to Book-my-safari.com, one of the top Wildlife Tour Operators in India. We are one of the pioneers of wildlife adventure safaris to national parks in India & Africa. 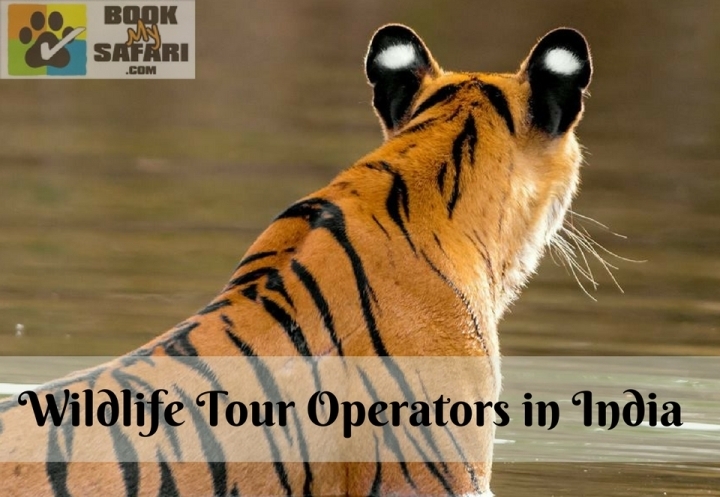 Popular for serving well-customized trips managed by wildlife and bird-watching experts, we as Wildlife Tour Operators in India have been conducting tours since more than 10 years now. 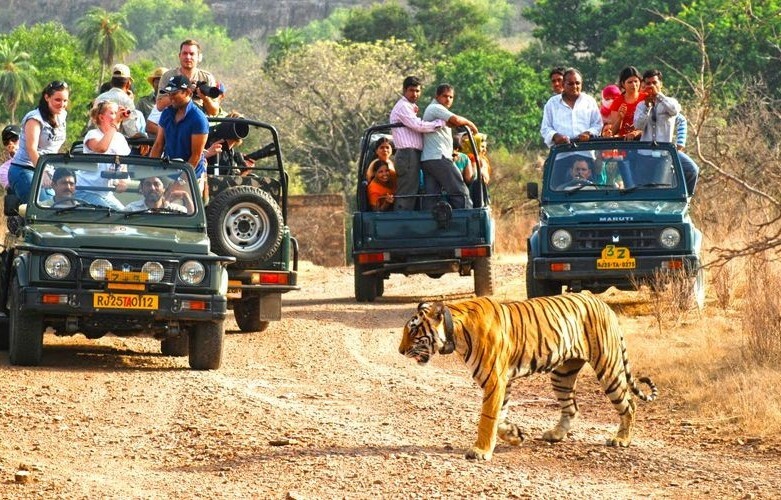 As a leading and top Wildlife Tour Operators in India, we organize trips to various renowned wildlife sanctuaries & reserve parks such as Tadoba National Park, Jim Corbett National Park, Pench National Park, Kanha National Park, Ranthambore National Park, Bandhavgarh National Park & Masai Mara (Africa). With our massive knowledge on wildlife parks, we are in a position to provide you comprehensive collection of thrilling journeys, not available elsewhere. We, as, Best Wildlife Tour Operators in India reveal the many concealed secrets and unexplored retreats in this multicolored and enticing land, along with some more well-known and eminent sights. These wildlife hubs are incorporated in our exclusive and innovative itineraries that have something impressive for everyone. India’s many nationwide parks are home to over half of the world’s tigers. Even when there are so many zoos where you can easily spot tigers, but there is something magical about seeing one of the world’s rarest animals in form of tiger safari in India. Besides, India’s wildlife parks have more to give than just unusual tiger sightings. Some of the best wildlife hubs to enjoy tiger safari in India are Tadoba National Park, Jim Corbett National Park, Pench National Park, Kanha National Park, Ranthambore National Park, Bandhavgarh National Park. 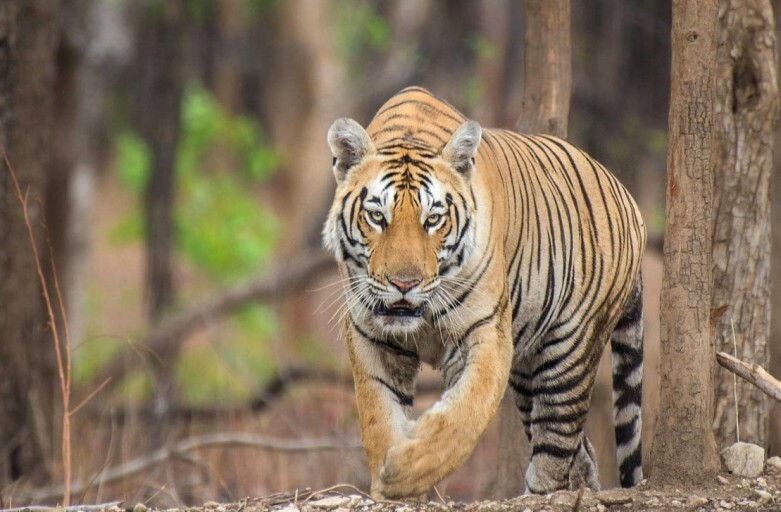 The best time to visit national parks for tiger safari in India is between March and June. Parks usually close in July, and open yet again by mid-October.